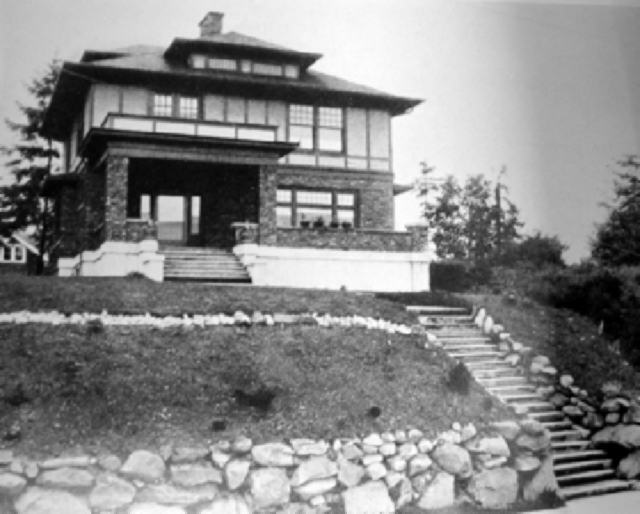 Built in 1912 at a cost of $6000, this building was owned by Fannie P. Houghton. Mrs. Houghton was listed at 1317 Sunset Avenue. In 1921, Mrs. Houghton added a garage. In 1930, the building was owned by George S. Ryan, who constructed an addition on the rear of the building. Mr. Ryan resided at 1733 Sunset Avenue. Francis W. and Loraine Perry moved into the building ca 1933. Mr. Perry was manager of the Yangtsze Insurance Association, Ltd. Eva L. Gilbertson purchased the building in September of 1958 for $24,000. Phillip J. Moloso occupied the building in 1958, according to Polk directories. The Mount Baker neighborhood comprises two north-south tending ridges located southeast of downtown Seattle along Lake Washington. Initial development of the area occurred relatively late, post-1900, following the construction of the Rainier Avenue Electric Street Railway in the 1890s. York Station on Rainier Avenue and the Dose Addition were developed earlier than the Mount Baker Park Addition, platted in 1907 by the Hunter Tract Improvement Company. The Mount Baker Park Addition represents the core of the neighborhood and is its primary character-defining feature. 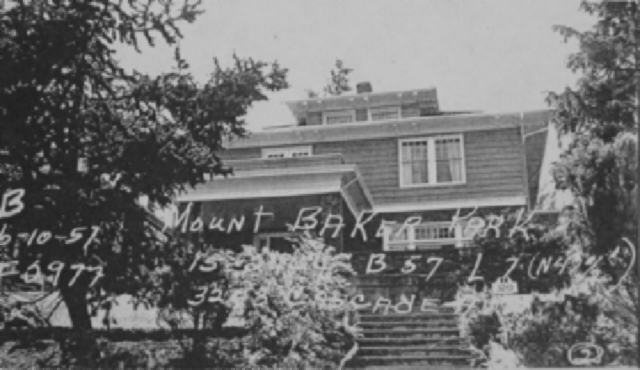 Mount Baker Park is one of Seattle’s earliest planned residential communities that successfully integrated the natural environment and a relatively exclusive residential neighborhood in its layout of lots, streets, boulevards, and parks. 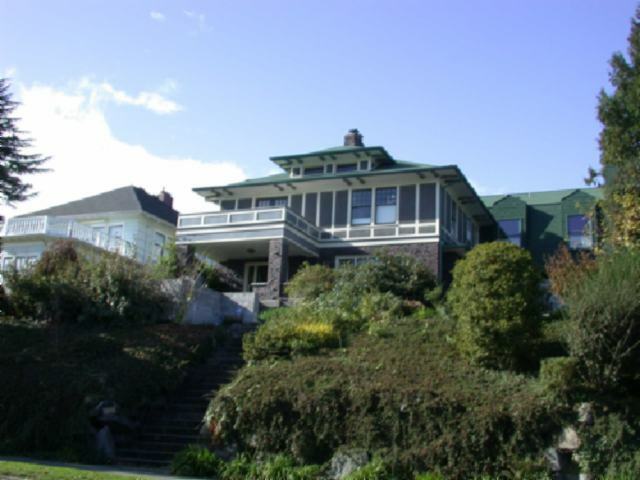 The houses, primarily built between 1905 and 1929, reflect a variety of eclectic and Northwest-based architectural styles, and include designs by many prominent local architects. Other important influences were the streetcar connection with downtown Seattle, the integration of local parks and boulevards into the Olmsted system, the construction of Franklin High School in 1912, and the building of the Mount Baker tunnel and Lacey V. Murrow Floating Bridge to Mercer Island in 1940. Today this middle-to-upper income neighborhood remains predominantly residential, is home to an ethnically diverse population, and retains much of its planned character. Built in 1912, this American Foursquare style, single-family dwelling stands on a rectangular lot. The building is oriented to Cascadia Avenue South on a flat site 12’ above street level. This approximately 945 square foot, two-story house with a full daylight basement features a rectangular plan, measuring approximately 28’ by 33’, with a full width front porch. A poured concrete foundation supports the wood frame, clinker brick veneer- (first story) and stucco- (upper story) clad superstructure. Asphalt composition roofing covers the hip roof. 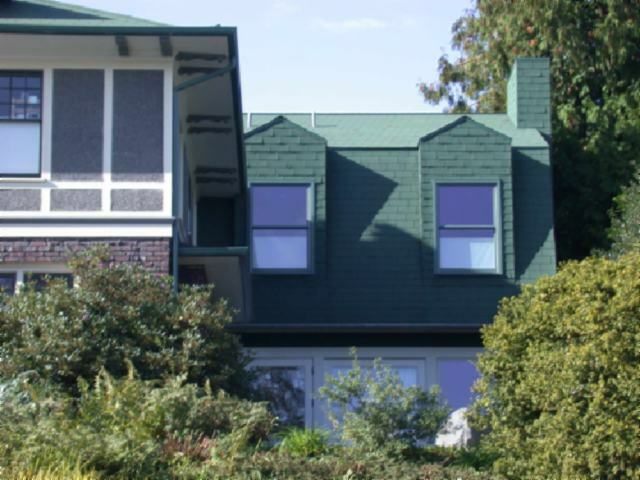 Broad, overhanging eaves with decorative modillions define the roofline. Multiple-lite wood sash windows provide day lighting. A brick chimney services the building. A non-significant addition extends off the north side. City of Seattle. Survey of City-Owned Historic Resources. Prepared by Cathy Wickwire, Seattle, 2001. Forms for Ravenna Park structures. Historic Seattle Preservation and Development Authority. "Mount Baker: An Inventory of Buildings and Urban Design Resources." Tobin, Caroline. 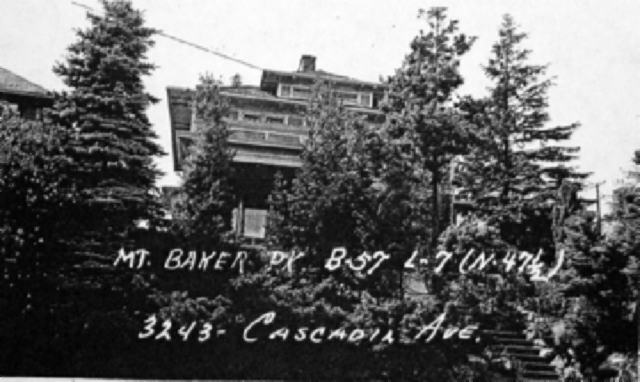 (2004) "Mount Baker Historic Context Statement."